So I don't know if you know, but I went to this big blogging conference called BlissDom this past weekend. Yup. 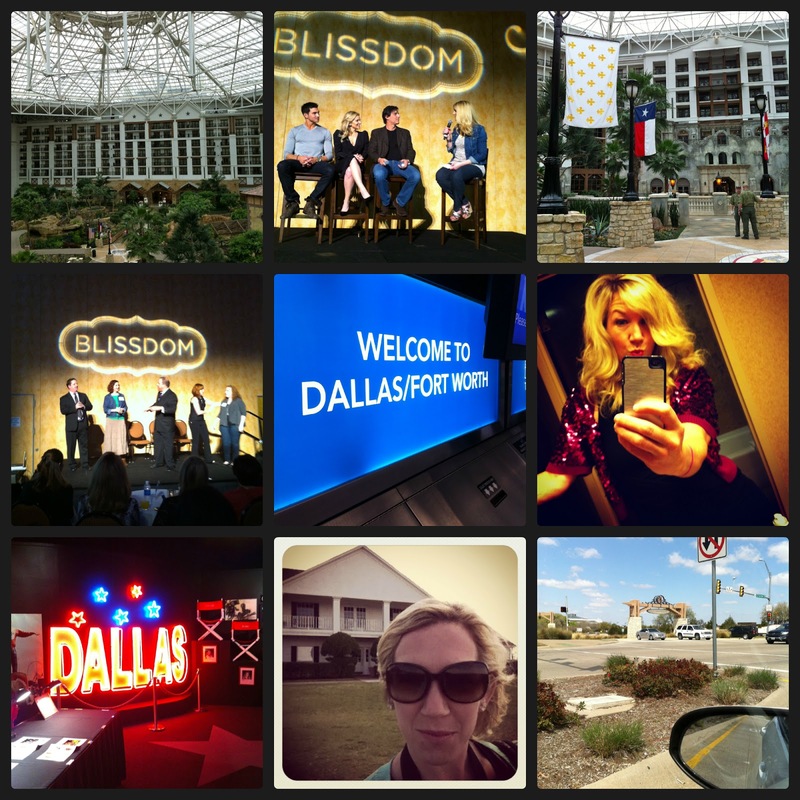 It was a big deal because there were a lot of bloggers, writers, vloggers, social media types all travelling to the Lone Star state to discuss social media stuff. It was a big deal because I rarely leave my kitchen. I was nervous about flying. I was nervous about being alone. I was nervous about going over budget. I was nervous about being too big for my britches. I was nervous about everything. But, I'm happy to report that this story has a happy ending. My BlissDom weekend was everything I needed it to be. Last year, I went for the first time. I stayed off site, stayed quiet and stayed overwhelmed. I came home inspired but doubtful. I was like the typical freshman in high school wandering the halls confused and lonely and needy. This year, it was the typical high school transformation. I walked around like a sophomore or junior full of confidence and enthusiasm. Not senior level yet, I didn't rule the school by any means. But the beauty of being a sophomore or junior was I could be excited without the pressure. I felt like I knew a few things, but no one expected me to ace my college entrance tests. I wasn't oozing neediness. I didn't need to follow anyone or go to sessions I wasn't interested in. I trusted my instincts. I listened to my gut. I went places alone. I skipped sessions to take a nap. It was liberating. It was awesome. More people approached me this year than last. I made more friends and had more meaningful conversations and more fun. The more self-assured and comfortable in my own skin I became, the more people I interacted with. It was like when you're single and all you want is a relationship. You ooze neediness and crush on so many guys. Then when you find yourself in a relationship (usually after you gave up looking) all those guys you crushed on who were so turned off my your neediness suddenly find you very interesting. Yeah, my experience at BlissDom was a lot like that. Any social media conference will tell you that to be successful on the Internet or in business or in life it's all about engaging. Engage with your customers, readers, followers, etc. Engage with your family and friends. Show up, respond to those emails, reply to a tweet, share a Facebook post, ask your spouse how their day went, play catch with your kid, walk your puppy. No sitting on the sideline. Get in there and play the game of life. 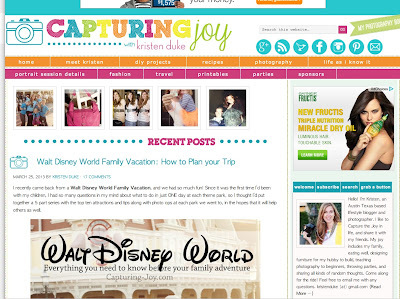 Whether it's a blogging conference, a bumpy flight, or Tweeting from your kitchen, ENGAGE. It sounds so cliche, but it's true engaging makes life (and blog conferences) better. I engaged all over BlissDom with new friends, celebrities (watch for my How To Talk To A Celebrity vlog tomorrow, it will have good tips like make sure you mention movies they weren't in), bloggers, burritos at the Mexican restaurant. Yes, I engaged everywhere and it was amazing. I got to hang out with my buddy Greta from GFunkfied. And quite simply, I love her. The amazing and hilarious Hillary at Because My Life is Fabulous. My workout buddy and just plain fabulous Kristen from Choosing Joy. The sweet and wonderful Jaima from Ring Around the Rosies. Oh high school was so very long ago ... think i have forgotten the angst. But the whole finding your bliss, is so very much about 'your bliss', you nailed it with this post. And taking a nap. Awesome. Perfection. I'm delighted you had a good time and that you could feel how you have grown since last year. Good for you!! Loved meeting you--love your sparkle! It was great to meet you too. You are hilarious! I'm bummed we didn't hang out at BlissDom too. But so glad I'm following you now everywhere on social media. 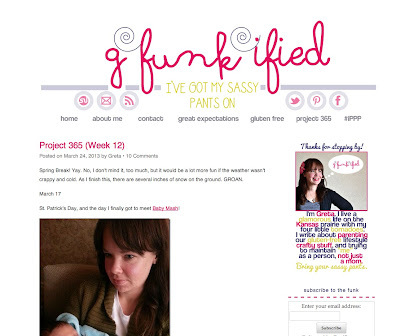 Your blog is great & I'm looking forward to the Mama Memoirs link up! Glad to hear you like it. I didn't know anyone and was a little nervous, but so glad I went. you go girl!! I was a newbie this year.. loved it.. but definitely can see how each time you go you get more confident! Love what you shared about engaging..couldn't agree more! Hello fellow napper! Glad you had a good time. I think we all do better at these things when we take the time we need to recharge. I'm so glad I came to read about your analogy. After reading a few negative posts I was afraid it was going to be more negative based on the title in the recap list. I saw you before the start of John Morgan's session but I couldn't manage anything more than a smile. My voice caught in my throat and you looked like you were on a mission so I didn't want to interrupt ya. I kept hoping to see you again somewhere. It was a good time though! Oh man, I wish we would've connected! My mission was probably trying to figure out where the heck I was going. Lol. I'm glad we are connecting her and on YouTube. Maybe next year we can hang out in person at BlissDom!